3.2. What if the Remote Computer is a Headless Linux? Welcome to the NoMachine Installation and Configuration Guide for version 6. This document is intended to provide you with step-by-step instructions on how to (i) install, update or remove the NoMachine software on your system, (ii) initiate your first connection to the remote computer and (iii) configure appearance of user interface (GUI, Graphical User Interface) and NoMachine's features. 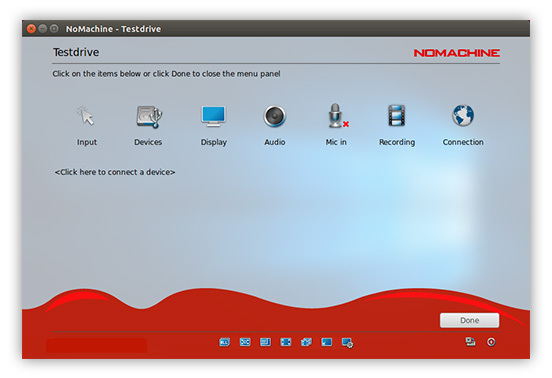 NoMachine, tailored for personal use, allows you to connect from your computer to the desktop of another computer with NoMachine software installed. Each NoMachine installation provides everything that is necessary to give access to your own computer from remote (NoMachine acts as a server). It allows one connection to the physical desktop of its host. The same NoMachine installation can also be used to connect you to other NoMachine computers (NoMachine acts as a client). 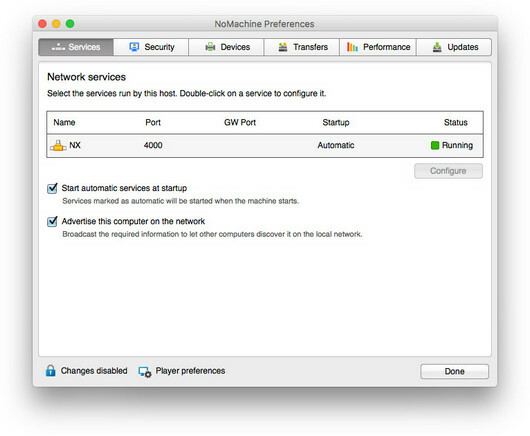 Once installation has been completed with success, NoMachine is up-and-running and ready to accept connections to the physical desktop of its host machine. All the necessary services are automatically started. A headless computer is configured to operate without a monitor, keyboard, and mouse. 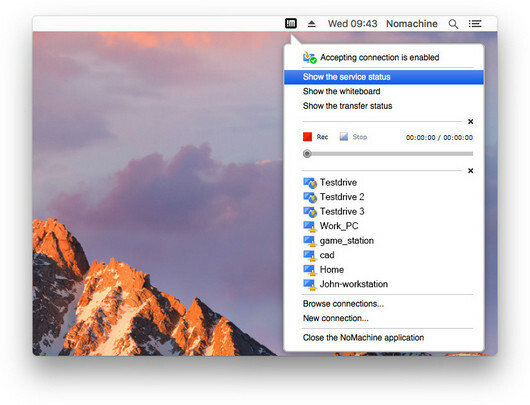 In this case, or when more in general the local X server cannot be found, NoMachine will use its own display service (that is an embedded X server) to let users connect seamlessly a physical desktop running in background on the remote machine. No manual intervention or configuration is needed, but a desktop environment needs to be installed on such machine. I If you just need it to connect to a remote computer (i.e. using NoMachine as a client), you may shutdown the NoMachine services. Click on the !M icon in the system tray to open the menu and click on 'Show the service status'. When clicking on the 'Shut down the server' button, you will be requested if the server has to be automatically restarted when rebooting. When the server is shutdown, it's not possible to connect to this machine from another one. How to install NoMachine, update an exiting installation or uninstall it. Use NoMachine to connect to another computer with NoMachine installed. The NoMachine user interface: a graphical interface to administer and monitor NoMachine services on this host (e.g. accept/deny connections) and configure connections to other computers. Compatibility between client/server versions 5 or 4 and v. 6 is fully preserved. Provide your administrative credentials if requested to authorize the installation. Step 1: Welcome to the installer! Click on Next to start the installation. Step 2: Read and accept the License Agreement and click Next to go on. Step 3: Click Next to proceed and please wait while Setup completes the installation … You can then select where to install NoMachine or let the default location as it is. I What's important to remember is that all successive updates will take place there. To change the place of installation you will have to uninstall the software and proceed with a fresh install. II Reboot is requested to complete the installation. Step 4: Accept to reboot your machine to complete the installation and exit the Installer. You can update your installation from our repositories. 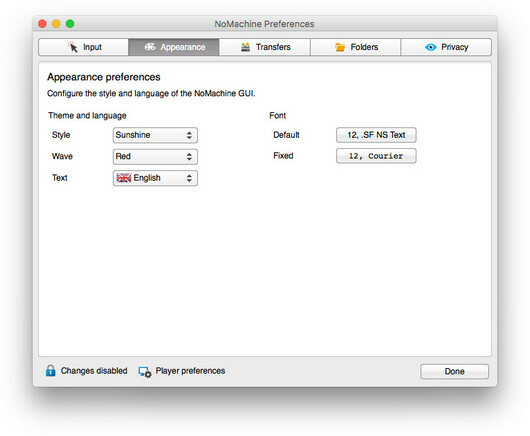 Just open the NoMachine User Interface from your Programs Menu, access the 'Settings' panel and click on 'Server preferences'. Go to the 'Updates' panel and click on the 'Check now' button. NoMachine has the automatic check for updates enabled: it will periodically check our repositories (by default every two days) to verify if updates are available. In this case, NoMachine will prompt a dialog informing that a new version is available but it will never automatically update the current installation. Detailed instructions for configuring the Automatic Updates are available in this separate document: https://www.nomachine.com/DT10O00149. Alternatively, you may download the latest available package from the NoMachine web site and click on the executable file to launch Setup. As for the installation, Setup will guide you through all steps necessary for updating your installation. You can uninstall NoMachine from the Windows Control Panel and the 'Add or Remove Programs' in Windows XP or 'Program and Features' in Windows Vista, 7, 8 or 10. Find the NoMachine program in the list of installed programs and choose to uninstall it. I Reboot is requested to complete the uninstalling process. Download the DMG package from the NoMachine web site and double click on the package icon to mount the disk image. Next double-click on the package to install it; the Installer will take you through the installation. Step 1: Welcome to the installer! Click on Continue to start the installation. Step 2: Read the License Agreement and Agree. Then click on Continue to proceed. Step 3: Provide administrative credentials and confirm by clicking on Install Software. Then click on Install and wait until Installer completes. Step 4: The installation phase is now complete, click on Close to exit Installer. You can update your installation from our repositories. 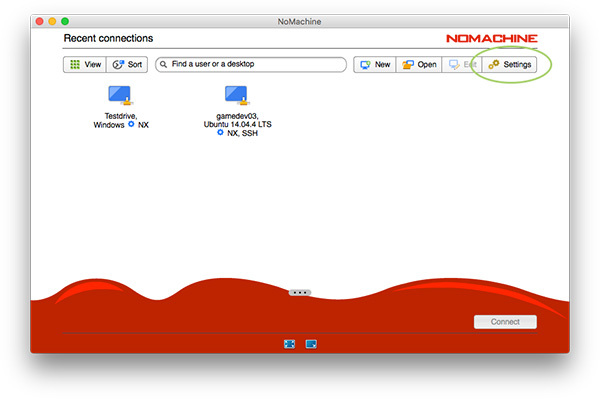 Just open the NoMachine User Interface from Applications, access the 'Settings' panel and click on 'Server preferences'. Go to the 'Updates' panel and click on the 'Check now' button. To uninstall, just drag and drop NoMachine from Applications to trash or select 'Move to trash' from the mouse button menu. Administrative credentials are requested. You can install, update and uninstall using the graphical package manager of your Linux distribution or from command line by running commands from an xterm or similar with the sudo utility, or as root user if you don't have sudo installed. Instructions below refer to installation by command line . The update procedure for server and node installations requires to stop all NoMachine services in order to correctly replace libraries and binaries. This implies that all running sessions are terminated during the update procedure and cannot be recovered later. This applies to upates made by using NoMachine packages and to automatic updates from NoMachine repositories. Alternatively, you may download the latest available package and use the graphical package manager of your system to install it or do it from command line as explained below. If you want to install to the default location /usr/NX ensure that package is placed there. Once you have terminated the installation or the update, including reboot when requested, a NoMachine icon (!M) will appear in your system tray. This is the NoMachine Monitor, a small application which gives you fast access to server management tools and User Interface and advises you when someone is requesting to connect. Step 1: Go now to the client device from which you want to connect to this host. 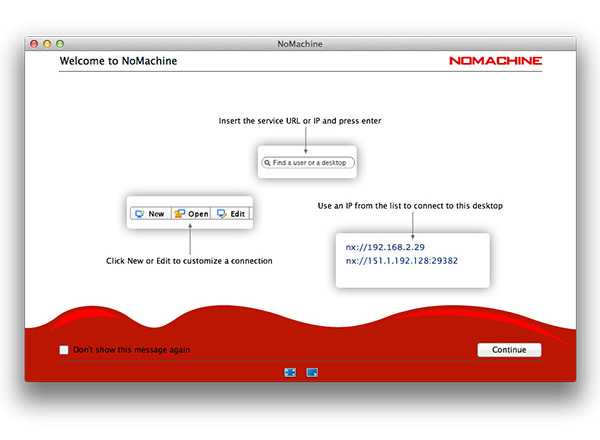 Install NoMachine, which can make connections as well as accept incoming connections) or NoMachine Enterprise Client. Step 2: Run the NoMachine User Interface from the programs or applications menu. Step 3: A wizard will take you through the steps necessary to set-up your first connection, just click on 'Create a new connection'. You will need the IP address and port number of the computer you want to connect to (you made a note of it earlier). If you prefer to skip the wizard, click on 'Continue'. The fastest way to create a new connection is to write the name or IP of the NoMachine host you want to connect to in the text field and click on the 'Press enter to create a new connection' link. This method will use the default NX protocol on port 4000. IPv6 is supported since version 4.1. Specify IP of the server host in IPv6 format (e.g. 2001:0:5ef5:79fb:30c6:1516:3ca1:5695) if you want to use it instead than IPv4. Pre-requisite is having a desktop environment installed. Steps to connect to the remote host are the same as described in the previous paragraph. Just click on 'Yes' to let NoMachine use its own display service. When you are sit in front of the computer, you can switch off/on the ability to accept connections to your desktop via NoMachine. When you disable the sharing of your screen, nobody can connect. You can configure this setting via the NoMachine Monitor menu (right click on the !M icon in the system tray to open it) by clicking on item "Accepting connection is now enabled/disabled". This setting lasts until you change it again, even when you physically log-out from the system. 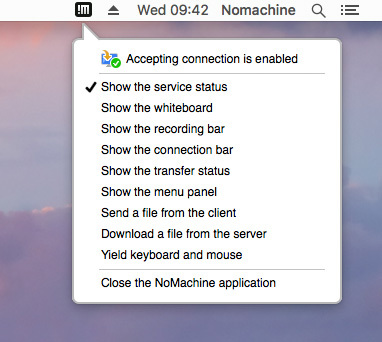 Be careful if you decide to disable accepting connections when you are connected from remote: you will be no longer able to reconnect to the desktop via NoMachine once the current session is closed. In this case, you can recover the ability to connect via NoMachine by changing settings in the Monitor menu on the physical computer. NoMachine comes with a graphical User Interface (the 'NoMachine preferences' GUI) which lets you manage settings and configurations for the server (Server preferences) and for the client (Player preferences). Switch between the Player and the Server preferences interface by clicking on the link at the bottom of the 'NoMachine Preferences' panel. 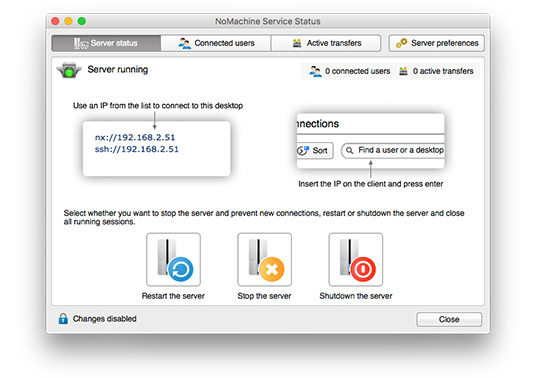 The 'Server preferences' User Interface can be accessed in two ways: via the 'NoMachine preferences' interface, or via the NoMachine (!M) icon in the system tray of your computer by clicking on 'Show the service status'. The 'Service status' panel provides quick access to information like the IP of the host machine and the possibility to stop and restart the server. Click on 'Server preferences' button to open the User Interface for the server. The 'Server preferences' area of the User Interface (see Fig. 4) takes care of configuration of how NoMachine functions when it accepts in-coming connections from other remote computers. For example, starting the NoMachine services automatically when the machine is rebooted. Locking the physical screen of this host when someone is connected from remote or checking for automatic updates can be configured in the 'Security' panel and 'Updates' panel respectively. As mentioned earlier, it is possible to configure the appearance of the NoMachine User Interface (e.g. change language, fonts, and even color). A quick tutorial is available here: https://www.nomachine.com/customizing-appearance-nomachine-user-interface. Clicking on the !M shortcut icon on your desktop, or opening NoMachine from the Applications menu of your computer will open this interface to let you configure graphical elements, the language used and of course configure your connection. Just click on 'Settings'. It's also possible to configure specific behaviour to be adopted when connecting to the remote host, such as using custom hot-keys and shortcuts which must be passed from the client side to the remote desktop. We recommend you take a look at the quick guide here: https://www.nomachine.com/DT10O00154. When you are connected to the NoMachine desktop, it's possible to share devices like disks and printers, change view mode for the remote display (e.g. resize the remote desktop, full-screen etc ...), adjust display quality and performance or record desktop activities. All of this and more can be done via the NoMachine menu panel inside the session. To open it, press ctrl+alt+0 inside the session or click on the page peel in the upper righ corner of the session.